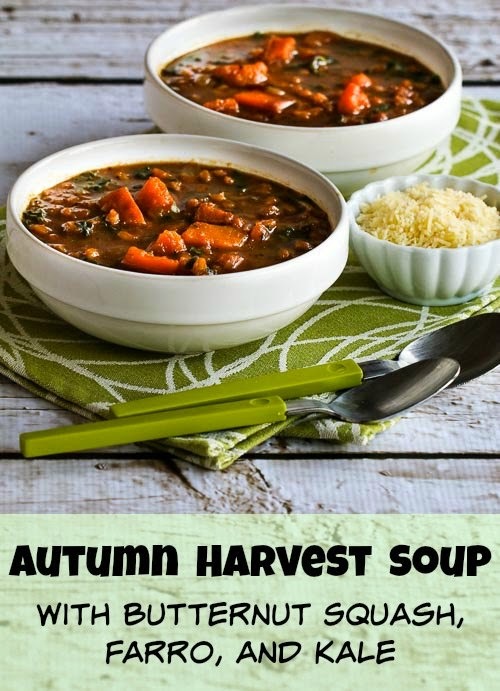 This delicious Autumn Harvest Soup with butternut squash and kale has some of my favorite fall and winter ingredients. Sometimes recipes that just come together out of whatever's on hand turn out to be some of my favorites, and this Autumn Harvest Soup with Butternut Squash, Kale, and Farro (or Brown Rice) is one I came up with when I had butternut squash and kale and I'd been craving Farro, an ingredient I've loved ever since I tried it in Farro with Mushrooms. The butternut, kale, and farro combination here turned out to be wonderful, but if you wanted a gluten-free version you could make this with brown rice, which would also be very tasty. BEST TURKEY GRAVY EVER ! !